Every year our Administrative Coordinator Patrice Reeder puts together the Annual Report of Wooster’s Geology Department. Every year this document grows in detail, creativity and information. 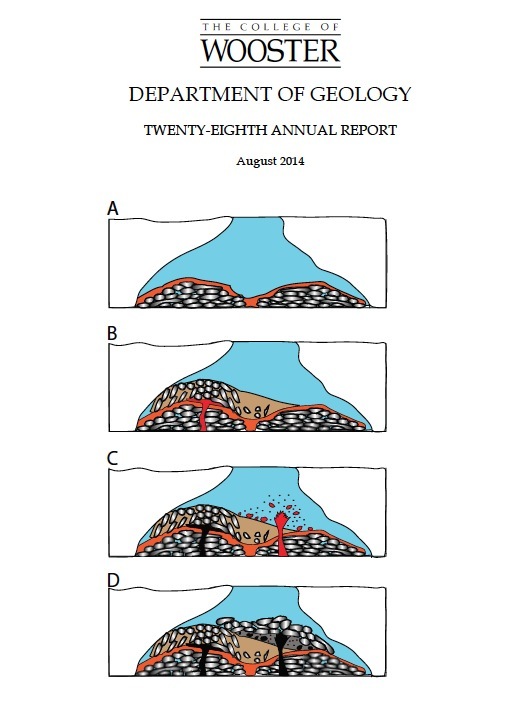 This year’s report is now available on this webpage. The Annual Report is our primary means of communicating with our alumni, current and future students, parents, administrators, and other friends of the department. It is a lot of fun to read, and over the years the previous reports have become repositories of our departmental history. Thanks, Patrice, for such dedicated and skilled work.